The popcorn is ready. The question is whether or not the popcorn gets better as it ages. 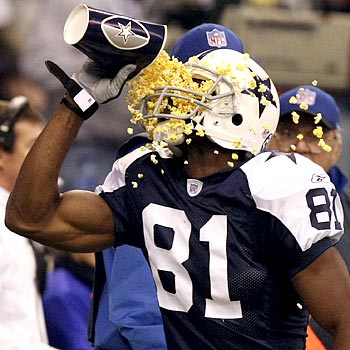 Terrell Owens is back in the news once again. At least this time it’s not for doing sit-ups in his driveway, calling his quarterback a homo-sexual or another off the field stunt. After the news this week that Owens had ACL surgery in April, there are a couple questions being asked about the high profile wide-receiver. The first of those questions is whether or not there is an NFL team that would be interested in signing the 37 year old. My response is “why not”. Last season in Cincinnati, Owens nearly had 1,000 yards receiving, along with nine touchdowns in 14 games. I’m not sure how anyone could complain about a number two receiver putting up that kind of stats. So obviously production wouldn’t be a down fall. Maybe his age would turn people away. Personally, I believe T.O. is in better shape than over half of the receivers under 30 in the league. His training regimen is among the best and no one has ever complained about Owens showing up for anything out of shape. T.O. still has a good 3-4 years left in the tank. Here’s the negative we all know, his ego. Although I do believe he has begun to realize the past couple years in Buffalo and Cincinnati that if he wants to continue his career he has to at least behave a little better than in the past. At this point in his career Owens can still be a valuable threat. The question is, where? Seattle could use a veteran like Owens, but I just can’t see Matt Hasselbeck and T.O. getting along. After applying a franchise tag to Vincent Jackson, it doesn’t look good for Malcom Floyd to stick around San Diego so they could be in the market and Owens could fit in well and really put up some big numbers. Another possibility could be the New York Jets who may be looking for possible replacements for either Braylon Edwards or Santonio Holmes. The bottom line is that I guarantee we see Owens on the field at some point this season. There will be some team who needs a veteran or an injury replacement. However, if this truly ends up being the end of T.O.’s career, is he hall-of-fame worthy? I see absolutely no reason why he isn’t. 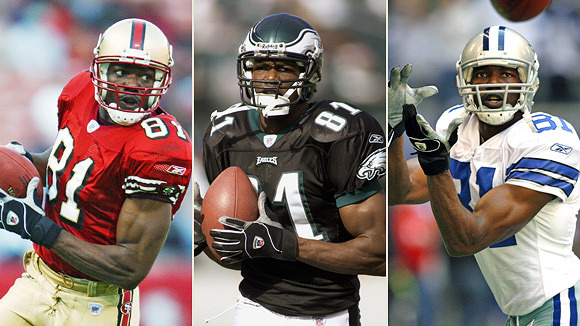 Jerry Rice is the only player to have more touchdowns and reception yards than T.O. Over his 14-year career Owens has averaged 75 catches for 1,101 yards and 10.5 touchdowns. Only five players in NFL history have recorded more than three seasons with at least 75 receptions, 1,101 yards and 10 touchdowns. T.O. averaged that for a decade and a half. If those stats don’t do it for you, this will. We all know the great hall-of-fame receiver Art Monk. These stats may shock you as much as they did me. T.O. has scored 88 more touchdowns than Monk, has three more seasons with at least 1,200 yards and twice as many Pro Bowls as Monk. Owens also reached double digits in touchdowns seven times; Monk never had more than 9 touchdowns. So if T.O. doesn’t belong, neither does Art Monk. Really the only argument against Owens’ hall of fame quest is his ego and off the field problems. Wait! Straight from the Pro Football Hall of Fame mission statement; “To honor individuals who have made outstanding contributions to professional football”. That says it right there. You should make the hall of fame based on what you do on the field, not off. T.O.’s on the field performance easily makes him a first ballot hall of famer. If he isn’t when he retires, the Hall of Fame better change its mission statement to include “players with good character”. 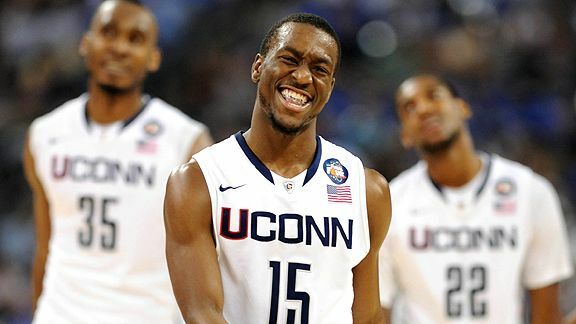 As the clock hit zero in Reliant Stadium (Houston, TX) there was Kemba Walker pounding his chest, with his teammates celebrating around him as his school, The University of Connecticut Huskies punched their ticket to the National Championship Game. The Huskies will take on the Butler Bulldogs who have reached the National Championship for the second straight year, one of few teams to ever do so. Butler who knocked off this year’s Cinderella team, VCU. Led by Matt Howard and Shelvin Mack, Butler can play both inside and outside in their half-court system led by head coach Brad Stevens. While it’s a great story for the Butler Bulldogs, no one should be overlooking the story of UConn and more importantly the story of Kemba Walker. Sure they’re a storied university but not like Duke, North Carolina, or Kentucky (who they beat to reach the National Championship). Led by head coach Jim Calhoun, who has over 850 wins in his coaching career he might have one of his best team’s ever in this year’s UConn team. The growth of his team has been led by Naismith candidate, Kemba Walker. Most of us know about what Walker brings as a player, this year. but the numbers were there his last two seasons because unlike most highlighted college players, Walker is an upperclassman. The numbers are there, Walker’s point average (23.7), rebound average(5.4) and assist-to-turnover ratio (2.02) have all risen over his past two seasons, but it’s the leadership that matters most. Any coach whether they have 850 wins or 85 wins, wants a team leader and by all accounts, actions speak louder then words. No actions have been more impressive then Walker’s, the kid from Bronx, NY has not only put up the points but has led by example, it seems as if almost every game, Kemba is not only scoring, but allowing his teammates to take the game over, whether it be freshmen Jeremy Lamb hitting from deep or big man sophomore, Alex Oriakhi grabbing rebounds and defending the paint. All college basketball fans loved “The Jimmer”, all fans and scouts jumped through their chairs for Derrick Williams of Arizona, and everyone took notice of the skills of Duke’s Kyrie Irving. Yes, all these players were deserving of the attention they received but with Walker, he has a great game but it seems to go under the radar. Walker has had ten games in which he has scored 30 points or more, he has had one triple-double this season but has nearly had a triple-double in many games. Walker went only two games without having a steal, contributing to his defense, and the most turnovers he’s committed in one game was five which came against Louisville, a game UConn eventually won. The point trying to be made is that Kemba Walker is the NCAA’s flavor of the year, but that was after Jimmer, after Derrick Williams, after VCU and still doubts are arising. The NBA doubts that is, there is no debate that Walker has great NBA draft stock at this current moment, but whispers of Ben Gordon have come up with his name. It can’t be true, with all due respect to Ben Gordon, he is nowhere near the talent level of Kemba Walker. Walker takes a game over, he leads by example, and his emotions drive him. He grew up with basketball in his veins as almost all college players have, but as told to ESPN in an interview after the Big East tournament Walker admitted that hitting his game-winning shot against Pittsburgh at Madison Square Garden was a “dream come true”. The spotlight is on, the stage is set, we’ve been blessed to watch plenty of great college talent, and one remains above the rest and will showcase not only himself but his entire team come Monday night against the Butler Bulldogs with the Championship on the line. Alex Rodriguez has had a productive spring in 2011. This is mainly because he appears to have gotten past the chronic hip problems of the last few years. He showed up to Spring Training lighter and far more flexible, prompting him to use his legs to drive the ball instead of just relying on his arms. 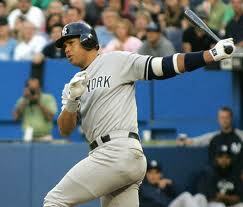 Even with the down year, A-Rod still hit 30 HR’s and 100 RBI’s. He has done that every year since ’08, putting him as one of three players(Joe DiMaggio and Chick Hafey) do accomplish that feat while playing fewer than 140 games. With his stats from the last few years, it almost guaranteed that A-Rod hits 30 HR and 100 RBI again. But with him looking and feeling good in spring training, there is a good chance he rises to a 40 HR this season if he were to stay fully healthy all year long. He also appears more focused than year’s past. With a focused and healthy A-Rod, fantasy owners will love him and pitchers will hate him when he steps up to the plate this season. This team has so many holes that I do not think they can actually make a bad pick. While I think the best way to go would be to take QB Blaine Gabbert, I find it hard for them to admit they were wrong on Jimmy Clausen so soon. I see them taking the best player on the board. Miller has impressed a ton with his workouts. The Broncos are transitioning to a four man front and ranked dead last in sacks last year. Miller is a dominant pass rusher coming off the end so this pick makes the most sense to me. There has been some speculation that Cam Newton will be taken here, but I doubt it. Not only is Gabbert the more pro-ready quarterback, but he does not have a questionable past. There also has been some speculation that current QB Ryan Fitzpatrick is supposed to be the QB of the future, but I think the Bills are smart enough to realize that would not be a wise move. With Terrell Owens and Chad Ochocinco likely on their way out the door, it would not be surprising to see them take A.J. Green or Julio Jones with their first pick. However, with the Bengals past in taking character issue players and their need for a QB after Carson Palmers latest trade demands, Newton just seems to fit the bill. Peters0n is hands down the best corner in the draft. If they take Peterson to team up with Rodgers-Cromartie, they could have one of the best cornerback tandems in the league. In Cleveland, the number one priority needs to be helping their young QB Colt McCoy to develop and the best way to do that is to draft a top wide receiver in Green, whom they so desperately need. Many may consider this one a stretch, but I do not see Peterson on the board for them and corner is their biggest hole. Amukamara is still a viable option, so why not? I would usually say Nick Fairley here, but after the bad luck the Titans have had with poor character guys lately (Vince Young, Albert Haynesworth), I do not see them taking another risk so soon. Tony Romo needs some more protection as evidenced by last year. Another way they could possibly go is with Bowers if he manages to fall to the ‘Boys at nine. The Redskins produced the 25th most sacks last year and they need someone to line up opposite of Brian Orakpo. The Texans need help on defense across the board and what better way to start than dynamic line anchor, Watt? It was incredibly evident that the Vikings need help on the offensive line after Favre got beat up and Peterson’s ypc went down. 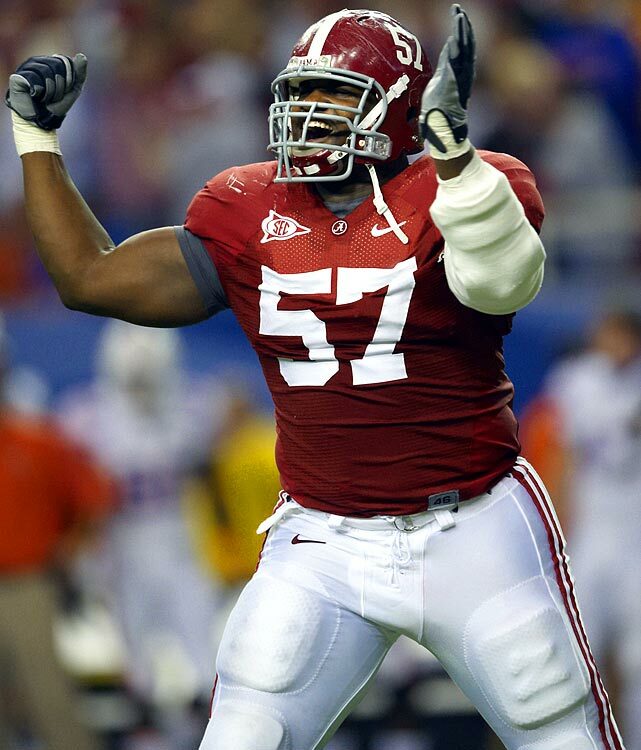 Many might find it hard to see Fairley fall this low, but somehow I do. The Lions would take him without any hesitation. There is not one other picks that makes an ounce of sense compared to this one. Bradford needs a receiver and here one is. The Dolphins are in need of a shot of youth in their running back group. I think they will give Chad Henne one more year to prove himself as a starting QB. The Jaguars had the second least sacks last year and with a little help from the deepest end class we have seen in years, Smith should fill the void. As injuries and age took their toll last year, the Pats take Jordan as part of their act to remodel the defense. The Chargers do not really have holes anywhere, but Wilkerson should come in and help get this team back to elite status right away. The Giants are going to view the second coming of Maurkice Pouncey first hand. The Bucs need a pass rush off the outside and Ayers fills the need. They need to shore up the run blocking and it starts with drafting Solder. The line is aging and not much would make Manning happier than some reinforced protection. The Eagles need another cornerback to go alongside Asante Samuel. Defensive coordinator Gregg Williams likes to bring the blitz, but it was not very effective last year with a weak pass rush. Clayborn fixes that. Hasselbeck will only play one more season for the Seattle and Locker is the same style player, so what better fit is there? The Ravens defense is getting very old and in need of an influx of young talent. The Falcons haven’t finished with more than 31 sacks in either of their last two years. Now that Moss is gone, the Patriots need another wide reciever for the future. If they take Hankerson, they can develop a nice three headed monster with Wes Welker and Brandon Tate. The Bears need a new cog in the middle and if Liuget falls to them, I don’t see them passing. They need to solidify their defensive line. If they had a weakness last year, it was a shut down corner and Harris could develop into that. Reed is a great off-the-edge rusher who will take some pressure off of Clay Matthews. You probably have noticed there being some major changes to the website recently and there will likely be some more coming. I am currently in the process of switching the web host for the site which will give us much more options. I won’t spoil it all now, but in a few days you’ll see what I mean. 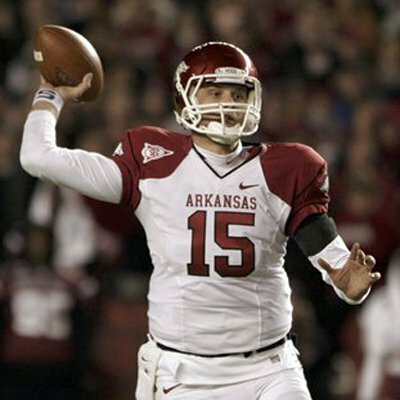 Ryan Mallett probably has the best arm in the whole draft. However, he has been very difficult to project in terms of where he goes. The Dolphins plan on meeting with Mallett this week for evaluating, then bringing him in for workouts on April 14-15. After that, the Bengals are going to bring him in for a two day workout also. Mallett has been projected to go as high as a top five pick to as low and a second round pick. The Dolphins have had some uncertainty about their quarterback position after the inconsistent play from Chad Henne last year. Whether they take a QB in the first round is better determined by flipping a coin. The Bengals originally took the ignorant route to Carson Palmer’s trade demands by saying that wouldn’t entertain any offers. However, now they are changing direction and it looks like they will trade Palmer to a new team prior to next season. I don’t think they will take Mallett with their first pick, though. They seem more likely to take Auburn QB, Cam Newton. 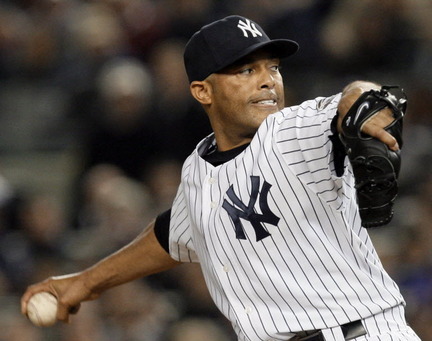 Mariano Rivera is 41 years of age, but he is still playing at an incredibly high level of play. Last year, he had an ERA of 1.80 in 61 appearances with 33 saves. In fact, in his last eight seasons, he has only had an ERA over two, just once. That’s pretty magnificent for a guy that was supposed to retire three years ago. Overall, he has played 16 MLB seasons and has compiled a 2.23 ERA and 559 saves. He also has been to the All-Star game a whopping 10 times. He also has won the AL Rolaids Relief award five times. To top it off, he leads all active pitchers in career ERA and is 13th in MLB history. However, how long will he be able to keep up the production? In the past three years, I have noticed a steady incline in his ERA. It obviously has not been a dramatic increase, but it is evident. Even though he only pitched six less innings in 2010 than in 2009, he threw 27 less strike outs. It seems remarkable that those are the only numbers that have actually shown signs of age, but it might be enough for me to place a red flag on Rivera. In fantasy baseball, closer is a deep and also somewhat meaningless position. You can find closers for miles upon miles that are usable. However, I still expect Rivera to have one more plausible season, in the two ERA range, then another declining season in the tank for an over three ERA. After that, he retires as his contract is up. I got the pleasure of getting to chat with Darrell Ceciliani today, prospect for the New York Mets. Ceciliani hit .351 with a .410 OBP and had two home runs, 35 runs batted in and 21 stolen bases in 68 games last year for the short A Brooklyn Cyclones of the New York-Pennsylvania League. He also set franchise records of 95 hits, 56 runs and 12 triples. He was selected as a NYP Mid-Season All Star and won the Mets’ Sterling Award for the Brooklyn Cyclones, which the Mets hand out to each of their nine teams in the minors for the most improved player. Ceciliani is a player quickly on the rise to the top and if he continues his hard work and dedication, he will be in the majors in a matter of years. Here at EE Sports World, we are pulling for him every step of the way. 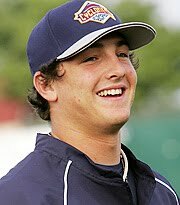 Brandon Berg: What’s the life of a minor leaguer like? What do you do on a typical day during the regular season? Darrell Ceciliani: We get up and at ‘em around 10 a.m. and have some breakfast. We get out to the field by one or two. I get my arm worked down and take some batting practice. After that, we just chill and relax. We prepare for the pitcher whether it be a righty or a lefty and just get into the right mindset. We then do some defensive work then play at about 7 p.m.
What level are you going to start at this year? What is the schedule like for Spring Training? DC: They have been telling me I’ll be starting at Low A Savannah. We get up at seven, get on field at nine, take defense and batting practice then play game at one. We are usually done by four and do some lifting and eat around six. You had a great year last year, what’s the next step for you in terms of development as far as developing your game to get ready for your future baseball playing career? DC: I have to improve every part of my game to get to the ultimate dream, the big leagues. I go out every day and just work hard to improve everything in my game. If I had to single a couple things out, it would be my bunting and base running needs to improve. I use my speed to the best of my advantage to put pressure on the defense. That’s one of the biggest things I’m going to be working on this season. What was your most memorable moment in your time in the minors so far? DC: Last year during a game in Brooklyn, I came up in the bottom of the 9th. I hit walk-off home run. It was a rush, never had a feeling like that. It was really cool to go out there and win the game for the team. What was your MLB draft experience like? DC: I actually was in class, taking a couple final exams. My dad was also with me that day to go through the experience with me. I got a call from the coach asking, hurry up, finish the final and get to his office because I had just been picked up by the Mets in the 4th round. That was a great day for me, I was excited and it was an honor to be chosen where I was and to go out and start my baseball career right away. How long did it take you to get on the field after the draft? DC: I was drafted on either the 10th or the 11th. I got to Tennesse to start playing by the 23rd or 24th of June because I had to take a couple finals to finish up. We want to thank Darrell for the interview and wish him the best of luck as he speeds toward his ultimate goal of reaching the majors. Like Darrell’s Facebook Page to keep up with everything that is happening with Darrell. His agent was also a very great help in setting everything up so you should check out his page also. 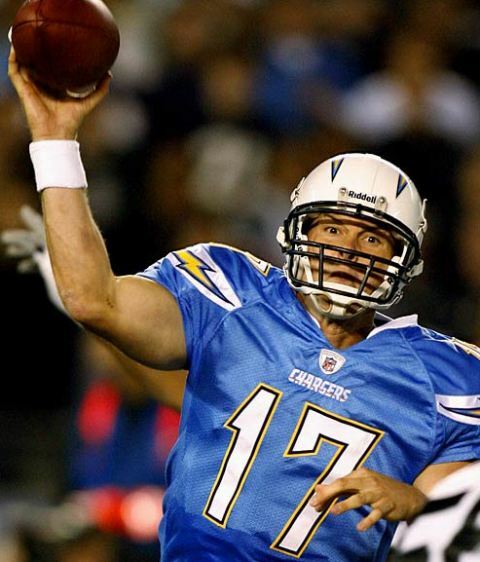 Rivers tops my fantasy qb rankings at this point.